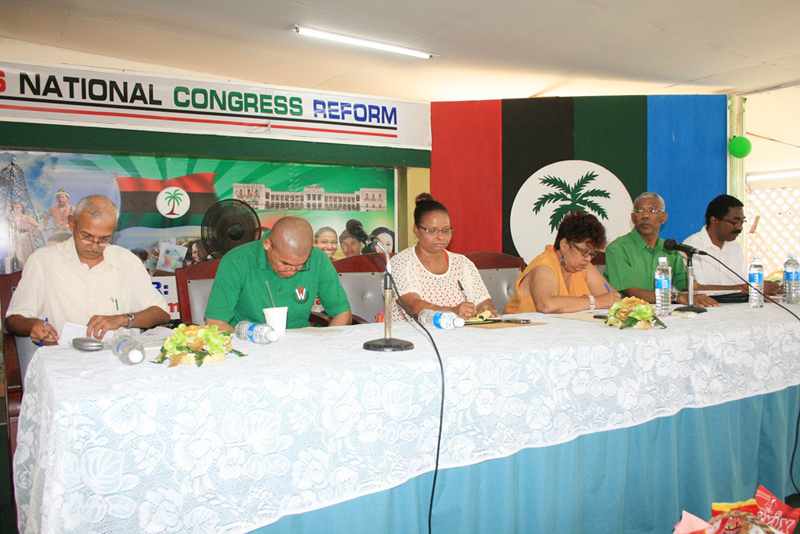 [www.inewsguyana.com] – The People’s National Congress Reform (PNCR) has reiterated its call for the People’s Progressive Party Civic administration to increase the subvention for the University of Guyana (UG) and to adopt an education first policy. PNCR in a statement said the lack of funding to UG has stifled the University’s ambition to produce individuals with the requisite skills to aid national development. This comes on the heels of the University’s 50th anniversary tomorrow October 1st, having opened its doors on October 1st 1963. This event is being celebrated under the theme: “Honouring the past, Molding the present, transforming the future”. In this regard the PNCR has extended congratulations to UG for being the nation’s premier institution of higher learning. The PNCR said the theme for this year’s observances is prescient for an institution celebrating half a century of service but asserted that in order for the university to aid in molding the present and transforming the future, more needs to be invested in, Science, Technology, Engineering and Mathematics (STEM). The Party also calls for the immediate improvement/investment in libraries, laboratories and lecture theatres. The party added that in keeping with the theme “honouring the past”, it recalls the Booker Group of companies donation of 1450 acres of land for the construction of the Turkeyen Campus, and the soil for the University campus being turned on the 24th May 1966 by Founder Leader of the PNC and then Prime Minister of Guyana, Hon. Linden Forbes Sampson Burnham. “In 1976 (Education Year), in a State Paper on education, the PNC asserted its commitment both to the principle of equality of access to educational opportunity and to working towards the elimination of socio-economic barriers that prevent vulnerable groups in the society from enjoying such opportunities.” The party added, stating that as the 50th Anniversary of the University is being celebrated, the PNCR reasserts that commitment.